Are you a new business or one that is relocating or upscaling, or a larger business needing high end calling features? Daisy’s Hosted Voice solution is great at cutting costs for your business communications needs, and comes fully loaded with a host of premium PBX features which only high end phone systems previously could offer. Call recording is a feature that is hugely cost-effective in the cloud, with cloud storage now cheaper than ever, calls can be recorded for training or legal purposes. You can also receive premium features and the tools to be successful and improve your infrastructure, enabling a connected workforce from any location. We supply and install VOIP systems to replace old ISDN and Analogue PBXS with cost savings for you. Advanced features. Our cloud phone systems have all the advanced features you could need, with the ability to add multiple extensions, message management, call forwarding, voice mail, and different physical phone options. Easy set-up. Because the system doesn't require seperate cabling from your pc's, cloud-based phone systems are easy and fast to install. Cost Savings. A Cloud PBX system is much less expensive than traditional Analogue and ISDN land lines. As with all Cloud services, there is a reliance on your data connection, so if you are in an area of fast connectivity then it is worth considering. If you’re still stuck on a v.slow broadband connection then it’s not going to work AND we can often upgrade you cheaply with our own broadband packages ! At its most basic level, VoIP takes voice calls and divides them into data packets that can then be transmitted over the internet. This means that rather than calls using an often expensive, physical link between two locations, the data can be routed anywhere, resulting in cheaper international calling. The earliest way of using this technology was to use a computer with a microphone and speakers, which is how early services such as Skype gained popularity. Despite this revolutionary idea, internet connections in the 1990s weren’t really up to the job of providing the fast, reliable connections we’re used to today, and that is undoubtedly needed to hold a successful call. This meant that early adopters would suffer from unwelcome side effects such as distortion and dropped connections. 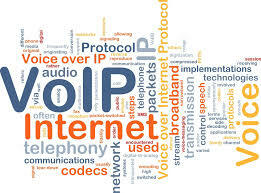 What are the Advantages of VoIP - Fibre Optic CablesOne of the main reasons for VoIP’s increasing popularity today is that the UK’s infrastructure has caught up. Thanks to the wide availability of fast fibre-optic connections, it’s now possible to take full advantage of the benefits VoIP has to offer. There’s also a greater range of hardware options available so users are no longer limited to having to use VoIP on a computer. Instead, handsets that both look and work like traditional desktop phones are now readily available. Because VoIP is software-driven, arguably, the most significant long-term savings are to be had in the costs surrounding ongoing maintenance and configuration of a setup. When you need to make changes to phone numbers or call diversions, you can do so without the need for a site visit from a technician as may have been the case with legacy systems. Fully cloud-based, HV.Select offers so much more than traditional telephone systems, giving you an easier and cost-effective way to manage your customers’ telephony with an enterprise-grade range of functionality. Packages with or without a voip phone. Purchase outright or Lease hire. 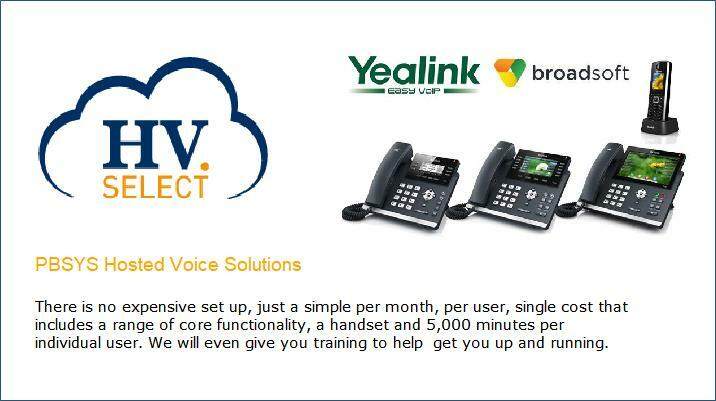 We only use top make Voip Phones such as Yealink or Polycom.